Over the last five years, 117,123 Michiganders were arrested and charged with misdemeanor marijuana offenses, and nearly 50,000 of them were convicted. With the passage of Proposal 1, what will happen to individuals who are currently awaiting prosecution for drug offenses committed before the change in laws, serving jail time or probation for convictions under the old law, or suffering collateral consequences as a result of their criminal drug convictions? In November, Michigan voters passed the Hemp Legalization Initiative, or Proposal 1, which legalizes recreational cannabis use statewide for those 21 and older as of December 6th. Public consumption remains prohibited, and individual municipalities may still decide whether to keep recreational use illegal and ban or restrict commercial cannabis-related enterprise within their boundaries. The measure allows individuals to grow up to 12 cannabis plants at a time and to possess up to 10 oz. of flowers at a time (including up to 15 g of concentrate). It remains illegal to drive while under the influence of marijuana, although there are no set measurement criteria, and the state decriminalization measures do not alter the federal prohibitions or penalties. Before the passage of this measure, Michigan allowed the licensed use of medical marijuana for patients with qualified conditions, permitting those individuals to possess up to 2.5 ounces of usable marijuana and to cultivate up to 12 plants for theirpersonal use. Non-medical recreational use was prohibited, and possession of any amount was a misdemeanor with a $2,000 fine and up to a year in jail. Smoking or ingesting marijuana was a separate misdemeanor, punishable by a $100 fine and 90 days in jail. Possession in certain areas, like parks, had more serious consequences – up to two years in prison and a potential felony conviction. In most states, if criminal laws change, individuals who have not yet been convicted and sentenced are subject to the new laws rather than preempted versions. As of November, only three states still had “savings clauses” that allowed prosecutors to continue to prosecute and sentence arrestees under older laws; in the recent elections, voters approved Amendment 11, repealing Florida’s savings clause (and leaving Oklahoma’s and New Mexico’s in place). In Michigan, individuals who have not yet been prosecuted or convicted based on facts that would not constitute a crime under the current law would be released without conviction. Prop 1 did not include provisions to make it easier to expunge past convictions for possession or use that would not be illegal under current law. Although initial drafts included such provisions, they were removed to help the measure gain support. Consequently, those previously convicted of a marijuana-related offense who qualify under Michigan’s fairly strict requirements must apply to have their convictions expunged from their records. In California, Colorado, Maryland, New Hampshire, and Oregon, where recreational use of marijuana has been legalized, voters or lawmakers have passed laws making it easier for people convicted of marijuana crimes to have their convictions overturned or get their records expunged or sealed. 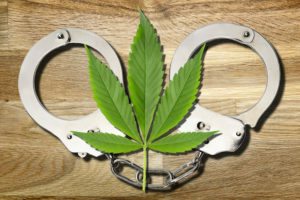 A bill has been introduced in Michigan for consideration during the pending legislative session that would make it easier to expunge past marijuana convictions, but the measure may not be decided due to the “lame duck” nature of the session. Numerous other legislators have made suggestions to broaden the eligibility for expungement in Michigan. If the issue is not decided in the current session, it will likely be addressed by future legislative sessions or ballot measures. 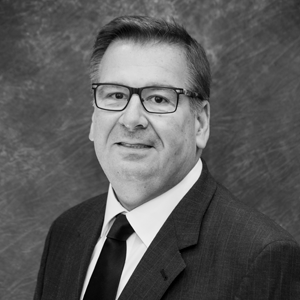 Mike Toth has a varied legal practice with particular emphasis on litigation and family law, including divorce, child custody, child support, paternity, property division, spousal support, and domestic abuse issues.